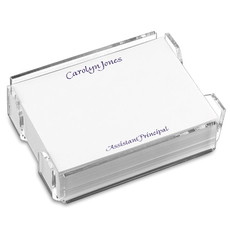 Sample shown on White Stock with Violet ink and optional Grey Glossy lining. 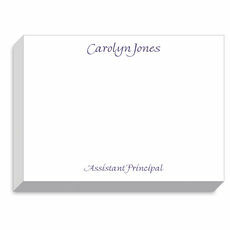 Set of 50 foldover note cards featuring a name in your choice of raised ink color on white or ecru stock with matching envelopes. 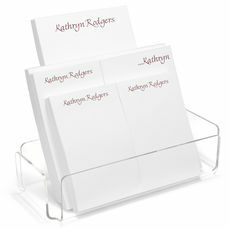 Return address printed with flat ink available. 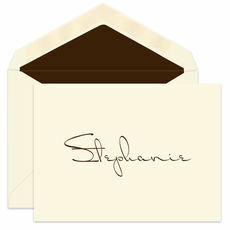 Envelope lining available. Size 6.25" x 4.625". Typestyle and positioning only as shown.